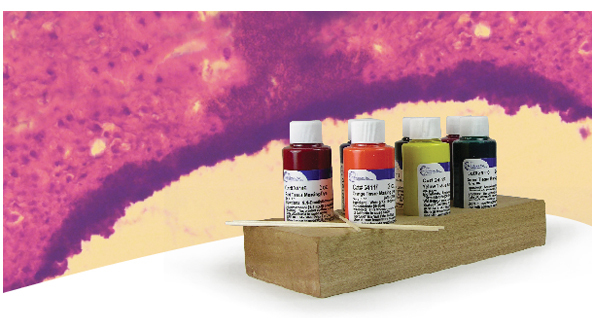 Our Marking Dyes for Tissue are designed to perfect orientation of excised surgical specimens. This method of permanently marking the margins of tissue specimens is very beneficial to surgeon and pathologists testing for skin cancer. This method of marking multiple margins of specimens was originally documented by Dr. Frederick Mohs.